Jan has a background in genetics and genomics, and performed his doctoral research at the University of Wageningen (Netherlands) on the Chicken Genome Sequencing Project. He then moved to Scotland to work as a postdoctoral researcher at the Roslin Institute on the Cow Genome Sequencing Project. Next, he continued his research at the Wellcome Trust Sanger Institute near Cambridge (UK) focusing on structural variation in the human and other primate genomes. 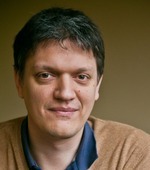 At his return to Belgium at the KU Leuven in 2010 (as assistent and later associate professor), he shifted focus to data visualization and visual analytics, with the aim of finding interesting questions in large datasets (big data). His main research topics revolve around visual design, interaction design, and (human and computational) scalability. 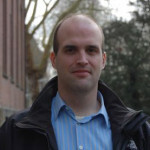 Since 2019, he is professor at Hasselt University where he continues his visual analytics work and helps build a new Data Science Institute. Jan has been on the organising committees of several conferences (including BioVis and Beyond The Genome), and has chaired visualization-related sessions at conferences including VIZBI, the Bioinformatics Open Source Conference BOSC and EuroVis/VMLS. 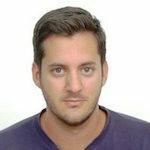 He is also Associate Editor for the BioMedCentral Thematic Series on Biological Data Visualization, and academic editor for PLoS One. He was founding member of the Young Academy – Royal Flemish Academy of Belgium for Sciences and the Arts. 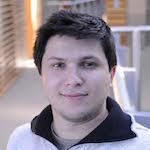 Daniel Alcaide is a PhD student at the Department of Electrical Engineering at KU Leuven. 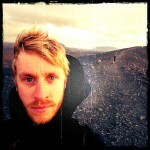 He conducts research in interactive visualisation and data analysis to bring insight into large and complex data. He worked as a statistician in various areas related to clinical development in Barcelona where he learned about the power of visual representation to communicate information. 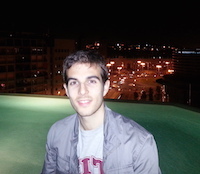 Daniel obtained a Master’s in Statistics and Operational Research at Universitat Politècnica de Catalunya in 2012 and a Master’s in Visual Analytics and Big Data at Universidad Internacional de la Rioja in 2015. 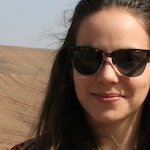 Danai Kafetzaki obtained her master in Statistics at KU Leuven and her dissertation explored a duality between time series and complex networks. 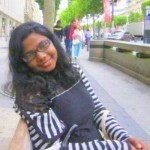 She is particularly interested in data visualization, machine-learning and statistical consulting. She partook in multidisciplinary collaborations, as during her master she was associated with the Euthority Research Project in the Faculty of Law, and the Sagalassos Archaeological Research Project. Prior to coming to Leuven, Danai completed a bachelor in Business Administration at Athens University of Economics and Business and worked as a financial analyst at Antenna TV in Greece. In her doctoral research, she develops graph-based visual and data analytics methods and applies these to reconstruct the typology and chronology of material culture at Sagalassos in order to build data driven solutions for the discipline of archaeology. [w/ Andrew Vande Moere & Jeroen Poblome] Georgia is currently doing her PhD as part of the Sagalassos research team where she is analysing the potential of data visualization on cross-disciplinary data exploration (under the main supervision of Andrew Vande Moere). Before joining KU Leuven, she was working as a media designer, offering her expertise to data journalism and data-driven projects with NGOs such as Open Knowledge Finland and as part of Finnish daily Helsingin Sanomat. During her MA she received a Finnish Culture Grant with which she created experimental visualizations of the Finnish epic, the Kalevala. 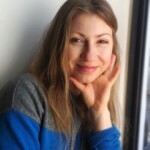 She has a BSc in Informatics and Telecommunications from the National and Capodistrian University of Athens and an MA in New Media from Aalto School of Arts, Design and Architecture, Finland. [w/ Katrien Verbert & Koen Brosens] With background in computer science and communication, Houda is interested in making software easy to use and understand. She believes in the importance of including end users in the design process and enjoys finding out their needs and translating them into functional requirements. 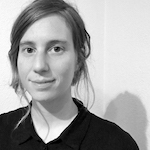 She currently works under the main supervison of Katrien Verbert and Koenraad Brosens on the visual representation of social networks in the domain of art history. 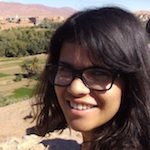 Houda has a bachelor’s degree in Computer Science from Al Akhawayn University in Ifrane, Morocco, and a joint Masters degree in Human-Computer Interaction from the ENAC and the Université Paul Sabatier in Toulouse, France. 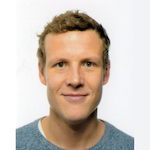 Thomas is a PhD student at both the Universiteit Antwerpen and KU Leuven (joint PhD). His PhD research focuses on scalable implementations of interactive visualization and analysis tools for hypothesis-free exploration of complex data. Thomas worked as a software engineering and architecture consultant in a broad spectrum of industries, where he built systems ranging from back-end data systems to mobile apps. With more than a decade’s worth of battle scars as a professional programmer, he seeks to apply his experience in the scientific domain. He is a strong advocate of the functional programming paradigm. Thomas obtained a Master’s degree in Informatics in 2002 and an Advanced Master’s degree in Artificial Intelligence in 2003 at the KU Leuven. Thomas has a background in computer science. His research focus is using visual analytics on location data to enable insight generation. This has many applications, for example early identification of illegal activity at sea or improving people flow in a train station. This project is a collaboration between KULeuven and Luciad. Thomas has worked for 8 years as an R&D software engineer at Luciad, designing and realizing a high-performance visualization library for geospatial data. Through this research Luciad wants to scale its technology to the huge amount of location data available today. Jansi has a techno-functional background. She obtained her Bachelor degree in Electrical Engineering from Anna University in India and a Master degree in International Business from ESC Grenoble in France. She started her career as a marketer and then moved to the area of commercial data analytics owing to her interest in making sense of data to drive business. She strongly believes that visualisation is the most effective way to communicate the insights and finds it exciting to visualise data from different domains. Her current research focuses on visualising genomic and healthcare data. 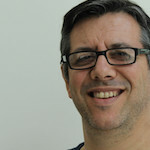 Jaume is a free knowledge advocate who works in the intersection of art, science and technology. More specifically, he is interested in the interface between human beings and reality, that is, data visualization. 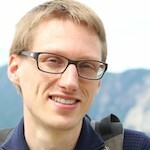 He studied how to combine natural text collections analysis, visualization, and exploration techniques. With a background in sciences (chemistry), he worked as a researcher in media art in Ars Electronica (Austria), and in development projects as engineer (Angola, Kenya, and Pakistan). In 2010 he moved to academic research (Catalonia and Australia). His current interests (2015) are: big collections of texts, interface simplicity, visual uncertainty, and technology adoption. Toni is a strong believer in multi-disciplinary science. Where people from different fields meet, new ideas are born. Visual analytics is such a place. His focus was on the visualization of large amounts of data (big data) and multiple dimensions. Prior to joining Prof Aerts’ lab, Toni worked as an independent consultant in a broad set of areas all related to technology: virtualization, service management, project management and enterprise architecture. His background in the technical as well as the organizational aspects of technology come in very handy in his current work as a researcher. Toni obtained his PhD from the department of Theoretical Physics at the KU Leuven where he studied models for artificial neural networks. With a background in biology and bioinformatics Raf’s work focused on biological data visualization and visual analytics. His research involved visualizing large phylogenetic trees and associated metadata. In particular he worked on the visualization of transmission of drug resistance mutations in a cohort of HIV patients. Raf obtained a Master’s degree in Biology from the University of Antwerp in 2001 and a Master’s degree in Bioinformatics from KU Leuven in 2011. He defended his PhD in March 2016. Having a background in medical illustration and user experience design, Ryo’s main research interests in the lab were visual analytics and biological data visualization. His work focused on developing interactive visualization systems in close collaboration with domain experts in life science to support exploration and analysis of the unprecedented scale and variety of data. Ryo Sakai obtained a Master’s degree in Biomedical Communications from the University of Toronto in 2008, a Master’s degree in Computing and Information Systems from Queen Mary University of London in 2009, and a Professional Doctorate in Engineering from the User System Interaction Program at Eindhoven University of Technology in 2011. He then joined the Bioinformatics Research Group in the Department of Electrical Engineering at KU Leuven for PhD research in biological data visualization. He defended his PhD in May 2016. John strongly believes in a multi-disciplinary approach to creative problem solving. His current research, in association with Luciad, focuses on visual analytics to support insight generation within geospatial data. John has a bachelor degree in information technology, as well as a post-graduate degree in culture and arts. In addition, John has a masters degree in architecture and design, and an advanced masters degree from the faculty of engineering sciences at KU Leuven. His work experience as a technician and developer within a GIS environment, amongst other past positions, supports his current research objectives. Ksenia is a PhD student at the Computational Biology Unit in the Computer Science Department at University of Bergen, Norway. With background in mathematics, she is interested in seeing patterns and trends, relations between abstractions and representations. Her main project revolves around biological networks and their general topological properties. Ksenia believes that visual representations are a powerful tool for research and came to learn more about the techniques of Visual Analytics at the DataViz Lab at KU Leuven. Ksenia obtained a Master’s degree in Mathematics from the University of Bergen, Norway in 2011.